We spent some time researching what email marketing and communications trends we can expect to see emerging in 2011. The common theme we found is: Continued economic pressures, increasing customer demand and advancements in email technology (i.e.”Smart” inboxes) means marketers will have to continue to find ways to do more with less, more effectively and more efficiently to produce greater results. As marketers; what should we be doing in 2011 to overcome these challenges? 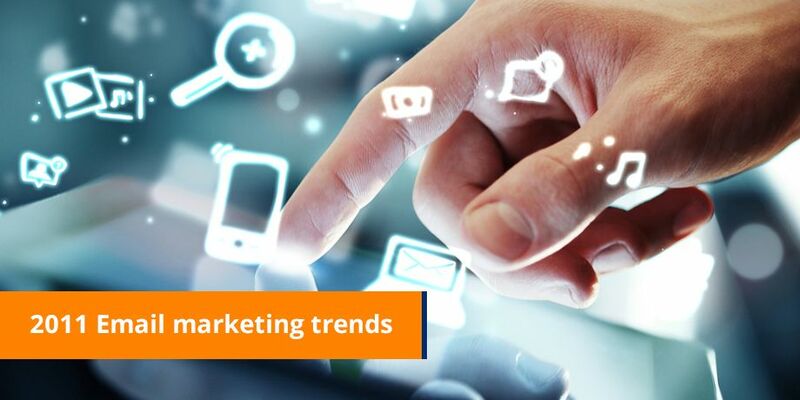 In this edition of eMarketing Insight we share our trend predictions and tips to address. With international legislation protecting the rights of consumers, you simply have no choice but to ensure your data is well managed and maintained throughout the customer lifecycle. Your data is the foundation on which your Lifecycle Communication Programme is built and should therefore be the number 1 strategic objective of your marketing strategy and hence a continuing trend into 2011. The more you know about your subscriber base, the easier it is for you to craft content and offers into communications that are relevant to each subscriber. Whether it is preference data captured during the customer’s lifecycle, to past behaviours and activity tracked and recorded, you should be profiling each and every customer. Segmentation and relevancy is important for a number of reasons, but none more so than ensuring your email stands out above the rest – we see this as a key trend gaining more traction in 2011. We predict a shift towards more automated triggered communications in 2011. Companies will attempt to automate as much of their customer communications as possible. Not only does it require minimal effort, but the impact is significantly higher with better response rates. As marketers begin to understand the symbiotic relationship between email marketing and social media, the trend will move towards more consistently integrated campaigns. For those marketers who have yet to understand and embrace the social media space, 2011 will see those marketers including simple share functionality on their communications at the very least. It is widely accepted that mobile penetration is significantly high in most countries when compared with the computer and smart phone adoption and is climbing rapidly. As a result, a large proportion of mobile web use is spent checking email. So 2011 will see a greater demand for “mobile friendly” versions of email communications that can be read on mobile devices. Proper attention needs to be placed on deliverability because if it is not managed properly, it can do more harm than good. To achieve successful email delivery, the focus should be on the full scope of an email’s journey – from sender to recipient. This will be a key focus area for email marketers in 2011, especially when they see their delivery rates declining. We have covered testing extensively in Q4 of last year, and see this trend growing as companies start to experiment with their communications to achieve better results within their marketing budgets.